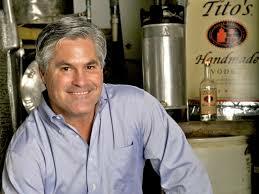 Who knew that a guy who started in the rugged oil and gas business out of college, would turn a vodka brand into the power house that it is today. That is exactly what Tito Beveridge did when he started Tito’s Vodka. He started making flavored vodka as a hobby and gave it away to his friends for gifts. It didn’t take long for his vodka to be well known among his friends. That’s when he started to get the idea to start making his vodka commercially. It took him a couple of years to fine tune his copper still and his recipe. He even blind tasted other vodkas against his until Tito’s was consistently beating the vodkas he was going against. It all started in Austin in 1995 when Tito was the first person in Texas to get a permit to distill spirits in Texas. 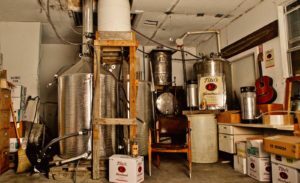 Investors turned him down again and again, convinced that he would never get his permits, as there had never been a legal distillery in Texas, and they said he would never get a distributor. So, he ended up just taking the money he had saved up while working overseas, and racked up 19 credit cards to the tune of about $88,000. 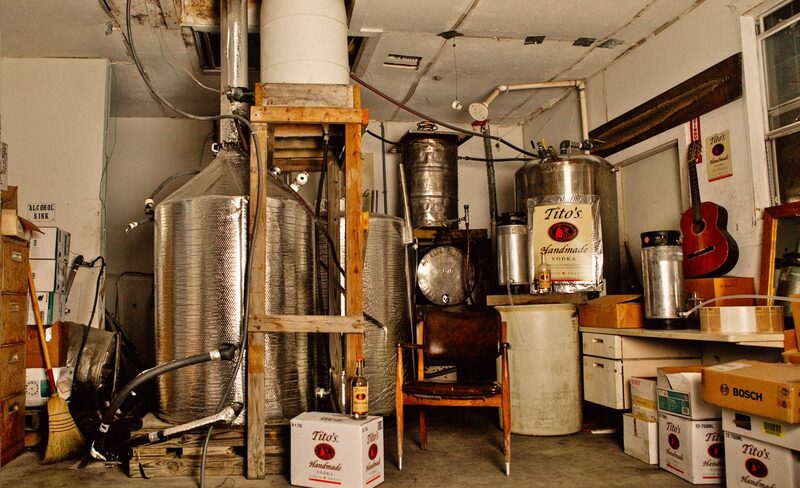 Tito built a one-man distillery, fought to re-write the laws in Texas, setting the precedent for the micro-distillery movement, built a production still, and just kinda got himself into business. Tito’s is still distilled on the very same land where they started and they still taste-test every batch to make sure you get only the best. 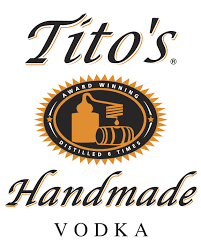 Tito’s batch distills their corn-based vodka using old-fashioned pot stills and the vodka is naturally Gluten-Free. Now 23 years later, it remains one of the fastest growing distilleries out there and is distributed throughout the United States and Canada. Vodka is the most versatile spirit when it comes to making cocktails, follow this link to Tito’s website for a great library of cocktail recipes!